Not to be confused with XL Center or Xcel Energy Center. ExCeL (Exhibition Centre London) is an exhibitions and international convention centre in Custom House, East London. It is located on a 100-acre (0.40 km2) site on the northern quay of the Royal Victoria Dock in London Docklands, between Canary Wharf and London City Airport, and is located within the London Borough of Newham. Aerial view of ExCeL before its extension. The centre was built by Sir Robert McAlpine and first opened in November 2000. In May 2008, it was acquired by Abu Dhabi National Exhibitions Company. Phase II of development, which included building London's first International Convention Centre (ICC) and creating an eastern arrival experience, was completed on 1 May 2010. In 2015, ExCeL announced the opening of CentrEd at ExCeL, a dedicated training and meetings space located close to the western entrance of the venue overlooking Royal Victoria Dock, adding to ExCeL's wide range of flexible spaces. The Royal Victoria Dock closed to commercial traffic in 1981, but it is still accessible to shipping. The centre's waterfront location allows visiting vessels to moor alongside the centre (for example, the 2005 London Boat Show was visited by HMS Sutherland). The exhibition building itself consists of two column-free, rectangular, subdividable halls of approximately 479,493 square feet (approximately 44,546 m²) each, on either side of a central boulevard containing catering facilities and information points. There are also three sets of function rooms, one overlooking the water, another above the western end of the central boulevard, and the third on the north side of the building. These are used for smaller meetings, seminars, presentations, and corporate hospitality. There are six hotels, more than 30 bars and restaurants, plus 3,700 parking spaces on the campus. ExCeL London has hosted numerous consumer and trade, private and public events including exhibitions, conferences, concerts, weddings and religious events since its opening in 2000. Among these have been WorldSkills London 2011, London Boat Show, British International Motor Show, Grand Designs Live, Carole Nash MCN Motorcycle Show, MCM London Comic Con, London International Music Show, Star Wars Celebration Europe, London Marathon registration, World Travel Market, The Clothes Show London, Defence Security and Equipment International (DSEi), The Dive Show, Global Peace and Unity Event, the 2009 G-20 London Summit, IP Expo Europe and Summer in the City. In 2011, ExCeL London was awarded the Business Superbrand 2011. The site welcomed its 20 millionth visitor on 18 June 2014. ExCeL has also been awarded 'Venue of the Year' on several occasions at various industry ceremonies. In 2012, ExCeL hosted several events for the Olympics and Paralympics and have since erected a legacy wall featuring the hand prints of the athletes that won Gold at the venue and the former Mayor of London Boris Johnson. In 2014, ExCeL hosted the Global Summit to End Sexual Violence in Conflict, chaired by American actress and UN Special Envoy Angelina Jolie and attended by 79 Ministers from 123 country delegations. ExCeL London is served by two Docklands Light Railway (DLR) stations, which span the full 600-metre length of the venue. The western entrance is directly linked to Custom House for ExCeL station and serves the Platinum Suite, the event halls and is located next to the iconic glass pyramid. From 2018 the western entrance of ExCeL will also be served by the Elizabeth Line, better known as Crossrail, connecting the venue to central London in just 12 minutes and providing a direct link to Heathrow Airport. The eastern entrance is connected to Prince Regent station. The eastern entrance serves the International Convention Centre (ICC at ExCeL), which was opened in 2010 by then-Mayor Boris Johnson and is the London's first and currently only ICC. 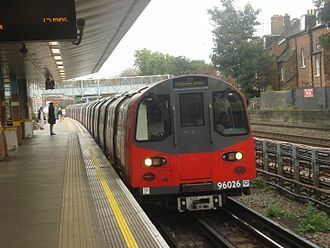 During major shows with large visitor attendances, extra shuttle trains are run between the venue and Canning Town station, with interchange at Canning Town station to London Underground's Jubilee line. ExCeL London is located near London City Airport station. The DLR and a number of dual-carriageway roads connect the centre to the airport and the important nearby office-and-commercial district of Canary Wharf. 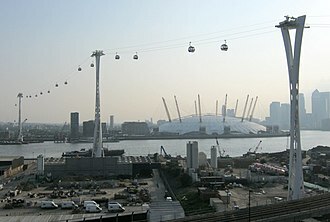 Since June 2012, the Emirates Air Line cable car now links ExCeL to The O2 on the Greenwich Peninsula. ExCeL London participates in the UN Global Compact Scheme, the world's largest corporate sustainability initiative which invites companies to align with universal principles on human rights, labour, environment and anti-corruption. As part of this scheme, ExCeL produces an annual communication on progress addressing the issues of Human Rights, Labour, Environment and Anti-Corruption. Since joining the scheme in August 2007, ExCeL has undertaken a series of initiatives to reduce energy usage, increase recycling efforts and increase transparency across the business – shown by the introduction of a Whistleblowing hotline in May 2015. Despite this, there are no water bottle refilling facilities at the venue, forcing the purchase of water bottles. open to all visitors, contractors, organisers and staff. ExCeL London hosting table tennis events at the 2012 Summer Olympics. Two boxing matches on 10 December 2005: The first, between British heavyweights Danny Williams and Audley Harrison; the second, between Amir Khan and Daniel Thorpe. A boxing match on 22 April 2008 between Amir Khan and Gairy St. Clair for the World Boxing Organization intercontinental lightweight title. A boxing match on 29 November 2014 between Dereck Chisora and Tyson Fury for the World Boxing Organization heavyweight championship elimination. The Virgin Active London Triathlon is held at ExCeL London on an annual basis, with the cycling and running legs taking place within and around the venue and the swim taking place in Royal Victoria Dock, adjacent to ExCeL. The Triathlon celebrated its 20th year at ExCeL London in summer 2016. Each May and October, The MCM London Comic Con multi-genre convention is held at ExCeL. Since 2001, the biannual UK arms fair DSEi, most recently on 8–11 September 2009. In 2005, the Bollywood cultural event, the 2005 Zee Cine Awards for the first time in the event's history. British International Motor Show 2006 & 2008 attracting over 400,000 visitors to the venue and included a Music Festival with live performances in a 5,000 capacity purpose-built arena each night of the motor show. Between 27–29 April 2007, the 2007 London Guitar Show (LGS). The show featured two masterclasses on the Saturday with Steve Vai, in which time he answered questions asked by fans through the LGS website prior to the show, and from fans at the masterclass. Between 13–15 July 2007, the Star Wars Celebration Europe; the first Star Wars fan event of its kind held outside the United States which attracted nearly 40,000 visitors over the three days. In 2007, was the Permanence – the operational and media headquarters – for the Grand Départ of the Tour de France. On 26 April 2008, the Bollywood cultural event, the 2008 Zee Cine Awards for the second time. On 27 May 2008, the Ahmadiyya Khilafat (Caliphate) Centenary was held. On 31 October 2008, Stuff Live, a yearly show sponsored by the magazine, What Hi-Fi? Sound and Vision. On 2 April 2009, annual G-20 Leaders' Summit on Financial Markets and the World Economy, commonly called The London Summit 2009, the largest gathering of world leaders London has seen since the first United Nations General Assembly in 1946. Between 1–2 May 2010, The X Factor held open auditions which attracted over 10,000 people. The ICC Auditorium also hosted Miss World 2014 on 14 December 2014. * Between 29–31 May 2009, Clothes Show London returned to the capital. In 2009 and 2010, it played host to the London audition stages of the ITV singer search programme The X Factor. In February 2010, the One Young World Summit. On Sunday 16 December 2012 it played host to the 2012 BBC Sports Personality of the Year. In late 2012 Olly Murs filmed the video to Army of Two here. From 22–24 November, the ExCeL played host to the Doctor Who Celebration convention, in celebration of the 50th anniversary of the BBC television series, Doctor Who. In April 2014, 49th annual meeting of the European Association for the Study of the Liver. One of the building's largest halls is used by King's College London for many of their exams, most recently in May 2014. Between 14–18 August 2014, Loncon 3, the 72nd World Science Fiction Convention. BRICK 2014, a Lego event for Lego fans, took place between 27 and 30 November 2014. The event also happened in December 2015. It has hosted YouTube event Summer in the City from the 14–16 August 2015, 12–14 August 2016, 4–6 August 2017, and is due to host again from the 10–12 August 2018. It hosts Redeemed Christian Church of God Festival of Life twice a year.It was last held on 21 October 2016. It hosted the 2016 BBC Music Awards on 12 December, broadcast live on BBC One. ExCeL hosted the inaugural RTX London between 14-15 October 2017, as well as the upcoming RTX London between 15-16 September 2018. ExCeL hosted the final weekend of the 14th series of The X Factor on 2–3 December 2017. In recent years ExCeL London announced a series of partnerships with various companies to enrich the visitor experience. Partners so far include Europcar, CityJet, ExCeL London Hospitality and Agility. ^ "Travel By Road to ExCeL". Retrieved 7 May 2014. ^ "Cycling to ExCeL". Archived from the original on 8 May 2014. Retrieved 7 May 2014. ^ "ExCeL London". Visit London. Retrieved 13 December 2012. ^ "ExCeL". excel.london. Retrieved 24 May 2016. ^ "Prize package given to Excel's 20 millionth visitor". ^ "Global Summit to End Sexual Violence in Conflict". Government of the United Kingdom. Retrieved 24 May 2016. ^ "ExCeL London | UN Global Compact". www.unglobalcompact.org. Retrieved 24 May 2016. ^ "ExCeL". Venues. UK: London 2012. Archived from the original on 5 December 2012. Retrieved 13 December 2012. ^ "EASL 2014 Annual Meeting". Eventegg. ^ "The X Factor 2017 finals will be held at the Excel centre for the first time". Metro. 19 November 2017. Retrieved 25 November 2017. Wikimedia Commons has media related to ExCeL Exhibition Centre. Defence and Security Equipment International is a defence and security equipment exhibition held every two years in London Docklands, which draws thousands of visitors, both trade and military. It is an important event in the military and national security equipment sales calendar and is organised in association with UK Trade & Investments Defence & Security Organisation. It is the world’s largest fully integrated international defence exhibition featuring land and air products, between 1976 and 1991, the British Army Equipment Exhibition and the Royal Navy Equipment Exhibition were held on alternate years in Aldershot and Portsmouth respectively. Overseas delegations attended by invitation only, despite having been at war with Iran for almost six years, a five-strong delegation from Iraq attended in 1986. In 1993 the two exhibitions were combined and held every year until the British government decided to privatise the exhibition. Exhibitions company Spearhead launched the first DSEI, known as Defence and Systems Equipment International, in 2001 it moved to its current location at the ExCeL Exhibition Centre in London Docklands. DSEIs name was changed in 2009, replacing the word Systems with Security, in April 2008 DSEI was acquired by Clarion Events, the largest independent event organiser in the UK. At the same time Clarion acquired ITEC - a conference and exhibition dedicated to military simulation and education - and Latin American Aerospace and Defence. It was suggested by CAAT that former owners Reed Exhibitions decision to sell followed substantial criticism both from healthcare professionals and academics, as well as pressure from campaigners, DSEI works closely with UKTI DSO to invite foreign military delegations. However there are guidelines that are made and followed and these come from a number of places including the Foreign and Commonwealth Office, The United Nations, FCO and ECO. The event has attracted attention from activist groups. In 2001,2003, and 2005 were all targets of sizeable protests, former London Mayor Ken Livingstone has been critical of the event and even the Metropolitan Police have spoken out about the cost of policing the event. Star Wars Celebration is a fan gathering to celebrate the Star Wars franchise. It began in 1999, when Lucasfilm held the Star Wars Celebration in Denver, Colorado to celebrate the release of Star Wars. Subsequent events have taken place to welcome Attack of the Clones and Revenge of the Sith, the eighth such event, the sixth to be held in the United States, took place in August 2012 in Orlando, Florida. The Star Wars Celebration was held from April 30-May 2,1999, at the Wings Over the Rockies Air and Space Museum in Denver, just three weeks before the release of The Phantom Menace. An event for the fans, by the fans, Star Wars Celebration took place in the hometown of the Official Star Wars Fan Club, headed by Dan Madsen. The Fan Club is based here in Denver, says Madsen, from May 3–5,2002, Star Wars Celebration II was held to celebrate the upcoming release of Attack of the Clones. The convention was moved to Indianapolis, Indiana, to use of the larger Indiana Convention Center. Downtown Indianapolis was invaded by multitudes of Star Wars fans, the initial projection of 15-20,000 people per day based on advance ticket sales was well surpassed, and reached critical mass on Saturday. The estimated final tally was a little over 75,000 people for the three-day event, the two places that received the most traffic were the Fan Club store and the autograph section, specifically for Carrie Fisher. Highlights of the event included the Rick McCallum Spectacular and Saturday nights Star Wars 25th Anniversary Concert, the Star Wars Celebration returned to Indianapolis from April 21–24,2005, to commemorate the release of the final film in the saga, Revenge of the Sith. With over 34,000 fans in attendance over the course of four days, Celebration III brought actor panels, costume contests, fan films, the Lucasfilm archive provided many important props and costumes for display. With approximately 10,000 fans in attendance, Lucas personally answered several dozen fans questions about the saga. On May 26,2006, StarWars. com announced Star Wars Celebration IV to be held May 24–28,2007 to commemorate the 30th anniversary of the first Star Wars film, c4 was located at the Los Angeles Convention Center in Los Angeles. He had previously been an MP for the Henley constituency from 2001 to 2008 and was Mayor of London from 2008 to 2016. Johnson was formerly a historian and journalist. A member of the Conservative Party, Johnson identifies as a conservative and has been associated with both economically and socially liberal policies. Born in New York City to wealthy upper-middle class English parents, Johnson was educated at the European School of Brussels, Ashdown House School and he studied Classics at Balliol College, where he was elected president of the Oxford Union in 1986. He was assistant editor from 1994 to 1999 before taking the editorship of The Spectator from 1999 to 2005, joining the Conservatives, he was elected MP for Henley in 2001, and under Michael Howard and David Cameron he was in the Shadow Cabinet. Mostly adhering to the Conservatives party line, he adopted a more socially liberal stance on issues like LGBT rights in parliamentary votes. Making regular television appearances, writing books, and remaining active in journalism, selected as Conservative candidate for the London mayoral election of 2008, Johnson defeated Labour incumbent Ken Livingstone and resigned his seat in parliament. In 2012, he was re-elected mayor, again defeating Livingstone, in 2015 he was elected MP for Uxbridge and South Ruislip, stepping down as mayor the following year. In 2016, Johnson became a prominent figure in the successful Vote Leave campaign to withdraw the United Kingdom from the European Union, Johnson is a controversial figure in British politics and journalism. Supporters have praised him as an entertaining and popular figure with appeal beyond traditional Conservative voters, conversely, he has been criticised by figures on both the left and right, accused of elitism and laziness, and using racist language. Johnson is the subject of biographies and a number of fictionalised portrayals. Johnson was born on 19 June 1964 at a hospital on the Upper East Side of Manhattan in New York City and his birth was registered with both the US authorities and the citys British Consulate and he was granted both American and British citizenship. His father, Stanley Johnson, was studying economics at Columbia University. Angelina Jolie Pitt, DCMG is an American actress and humanitarian. She has received an Academy Award, two Screen Actors Guild Awards, and three Golden Globe Awards, and has cited as Hollywoods highest-paid actress. Jolie made her debut as a child alongside her father, Jon Voight. Her film career began in earnest a decade with the low-budget production Cyborg 2, followed by her first leading role in a major film, Hackers. She starred in the critically acclaimed biographical cable films George Wallace and Gia, Jolies starring role as the video game heroine Lara Croft in Lara Croft, Tomb Raider established her as a leading Hollywood actress. Beginning in the 2010s, she expanded her career into directing and her biggest commercial success came with the fantasy picture Maleficent. Her personal life is the subject of wide publicity, divorced from actors Jonny Lee Miller and Billy Bob Thornton, she separated from her third husband, actor Brad Pitt, in September 2016. They have six children together, three of whom were adopted internationally, born in Los Angeles, Jolie is the daughter of actors Jon Voight and Marcheline Bertrand. She is the sister of actor James Haven and niece of singer-songwriter Chip Taylor and her godparents are actors Jacqueline Bisset and Maximilian Schell. On her fathers side, Jolie is of German and Slovak descent, and on her mothers side, she is of primarily French Canadian, like her mother, Jolie has stated that she is part Iroquois, although her only known indigenous ancestors were 17th-century Hurons. After her parents separation in 1976, Jolie and her brother lived with their mother, when Jolie was six years old and her live-in partner, filmmaker Bill Day, moved the family to Palisades, New York, they returned to Los Angeles five years later. Jolie decided she wanted to act and enrolled at the Lee Strasberg Theatre Institute, Jolie first attended Beverly Hills High School, where she felt isolated among the children of some of the areas affluent families because her mother survived on a more modest income. She was teased by other students, who targeted her for being extremely thin and her early attempts at modeling, at her mothers insistence, proved unsuccessful. East London is a popularly and informally defined part of London, capital of the United Kingdom, lying east of the ancient City and north of the River Thames. East London comprises the whole of six modern London Boroughs – Tower Hamlets, Waltham Forest and Dagenham, Havering –, the East End of London is a subset of East London, consisting of areas close to the ancient City of London. The Eastern Postal District is a different subset of East London, the most recent iteration includes the seven boroughs north of the Thames with the addition of three boroughs south of the river. The East End is the old core of East London and there are differing views about how much of East London should be considered part of core area. Aldgate Pump on the edge of the City is a start of East London – more specifically the East End. Tower Bridge is sometimes described in these terms. This well established, but unofficial, definition takes in six modern London boroughs and most of a seventh, the parts of Hackney within East London are, Shoreditch including those parts – notably Hoxton – outside the E postcode area but usually considered part of the core East End. An area closely, but not quite exactly, corresponding to the E5, E8 and this takes in Dalston, central Hackney, Hackney Wick and Lower and Upper Clapton. The remaining areas of Hackney are usually considered to be part of north London, as well as extramural parts of the City, East London comprises, The E postcode area was introduced in 1857 to facilitate the distribution of mail. The postcode area is a sub-set of East London, with notable exclusions, Hoxton in Shoreditch which is part of the N postcode area. The eastern suburbs built after the introduction of the E postcode area, London currently has 73 parliamentary constituencies, of which 12 are fully and 4 partially in East London. It is anticipated that after 2018 London’s total will be reduced to 68, the 2011 iteration of the London Plan included an altered ‘East’ region, to be used for planning, resource allocation and progress reporting purposes. As well as seven boroughs north of the river, the ‘East’ sub-region includes three boroughs to the south of it, Greenwich and Lewisham, East London is located in the lower Thames valley. Sir Robert McAlpine is a private British company headquartered in Hertfordshire. It carries out engineering and construction for the oil and gas, power generation, pharmaceutical, chemical, Sir Robert McAlpine, 1st Baronet who founded the eponymous company was born in 1847 in the Scottish village of Newarthill near Motherwell. From the age of seven he worked in the coal mines. Later, working for an engineer, he progressed to being foreman before starting to work on his own account at the age of 22. He had no other than that he could earn himself. From there, McAlpine enjoyed rapid success, the early contracts centred on his own trade of bricklaying, (It was on one of the housing estates he built that he first experimented with using concrete blocks as well as bricks. With the capital he had acquired, McAlpine determined to build a city at Hamilton. Relying now on the income from his estate, McAlpine’s attention moved away from his contracting business towards self-education. However, the financial panic following the collapse of the City of Glasgow Bank in 1878 virtually wiped out McAlpine financially, his mortgages were called in but his debtors did not pay him. McAlpine’s first large contract was a building for the Singer Manufacturing Company in 1883, almost immediately he faced further financial difficulties. Winning a contract for the Lanarkshire and Ayrshire Railway without the technical knowledge. Undaunted by his experience, McAlpine took on further railway contracts, this time successfully, including the Mallaig Extension Railway. There was a wide range of building and civil engineering contracts. It was argued that this led to a more cautious approach to risk on the part of the sons – if not the father. The inter-war period saw the firm focusing solely on construction. Gray wrote that Sir Robert McAlpine “seemed to have involved in every major building and civil engineering project that ever hit the headlines of the day. ”They included docks, power stations, the Wembley Stadium. The Dorchester was of particular interest, when the client was unable to pay for the construction works, the company took possession of the completed building and operated it on its own account. It followed the first G20 Leaders Summit on Financial Markets and the World Economy, which was held in Washington, D. C. on 14–15 November 2008. Heads of government or heads of state from the G20 attended, due to the extended membership it has been referred to as the London Summit. The policing tactics at the event raised controversy, particularly over the death of Ian Tomlinson. Their actions were sanctioned by the British government and intelligence was passed to British government ministers, as hosts, the British Treasury produced an extended agenda pamphlet proposing the issues to be addressed at the London Summit. The explicit goal was to start the process of reform so as to manage globalisation as a force for good in the medium term, the meeting was organised at the initiative of German Chancellor Angela Merkel. The leaders agreed that markets, financial institutions and the range of financial assets they create. In addition, they called for sanctions against tax havens. They agreed to impose sanctions against countries that intend to undermine their work, they advocated the doubling of funds available to the IMF. Finance ministers and central bankers of the G20 met in Horsham on 14 March 2009 to prepare for the London Summit, to restore global growth as quickly as possible, the participants decided to approve coordinated and decisive actions to stimulate demand and employment. They pledged to fight against all forms of protectionism and to maintain trade, the members committed themselves to maintain the supply of credit by providing more liquidity and recapitalising the banking system, and to implement rapidly the stimulus plans. As for central bankers, they pledged to maintain low-rates policies as long as necessary, the leaders decided to help emerging and developing countries, through a strengthening of the IMF. They proposed to implement regulation to prevent the risks and to curb business cycles, including the limitation of the leverage effect. They announced new measures to prevent and resolve crises, through the strengthening of the IMF, in the weeks before the London Summit, UK Prime Minister Gordon Brown visited several countries on three continents to try to secure backing for his goals at the London Summit. Greenwich Peninsula is an area of south-east London, located in the Royal Borough of Greenwich. The peninsula is bounded on three sides by a loop of the Thames, between the Isle of Dogs to the west and Silvertown to the east, to the south is the rest of Greenwich, to the south-east is Charlton. The peninsula lies within the Royal Borough of Greenwich and this should not be confused with North Greenwich on the Isle of Dogs, at the north side of a former ferry from Greenwich. The peninsulas northernmost point on the riverside is known as Blackwall Point, landmarks include The Dome and the southern end of the Blackwall Tunnel, but the area is now being substantially redeveloped with new homes, schools, a college and parks. The peninsula was drained by Dutch engineers in the 16th century, in the 17th century, Blackwall Point gained notoriety as a location where pirates corpses were hung in cages as a deterrent to other would-be pirates. In the 1690s the Board of Ordnance established a magazine on the west side of the peninsula. Alongside the magazine was a wharf, a house and accommodation for the resident Storekeeper. By 1771 gunpowder was no longer stored at Greenwich, the peninsula was steadily industrialised from the early 19th century onwards. In 1857 a plan was presented to Parliament for a huge dock occupying much of the peninsula, connected to Greenwich Reach to the west and Bugsbys Reach to the east, but this came to nothing. Early industries included Henry Blakeleys Ordnance Works making heavy guns, with other sites making chemicals, submarine cables, iron boats and steel. Henry Bessemer built a works in the early 1860s to supply the London shipbuilding industry. Later came oil mills, boiler making, manufacture of Portland cement and linoleum, early in the 20th century came bronze manufacturers Delta Metals and works making asbestos and Molassine Meal animal feed. For over 100 years the peninsula was dominated by the gasworks which primarily produced town gas, the gasworks grew to 240 acres, the largest in Europe, producing coke and chemicals as important secondary products. 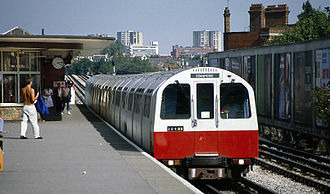 Tower Gateway DLR station was the DLR's original link to central London. The west side of the peninsula from the Thames in 2001 - part of the glucose works. 1763 fencing print from Domenico Angelo's instruction book. 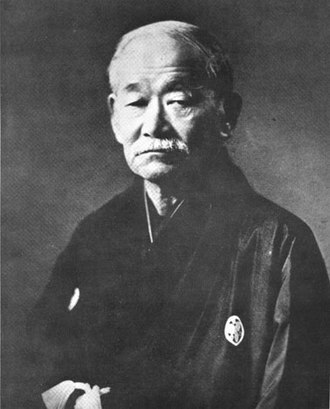 Angelo was instrumental in turning fencing into an athletic sport. Leaders of the G20 countries present at the London Summit (taken before the proceedings on 2 April 2009). Gordon Brown and Dmitry Medvedev at the front door of the Prime Minister' residence on Downing Street. A working dinner at the summit – Left to right: Merkel, Obama, Lee, Abdullah, Lula da Silva.